Residents at Morris Care’s two Shrewsbury Nursing Homes, Isle Court and Radbrook, have been treated to a virtual walk around the picturesque Quarry Park in Shrewsbury. From the comfort of their armchairs, they were able to see the park from a first person perspective. 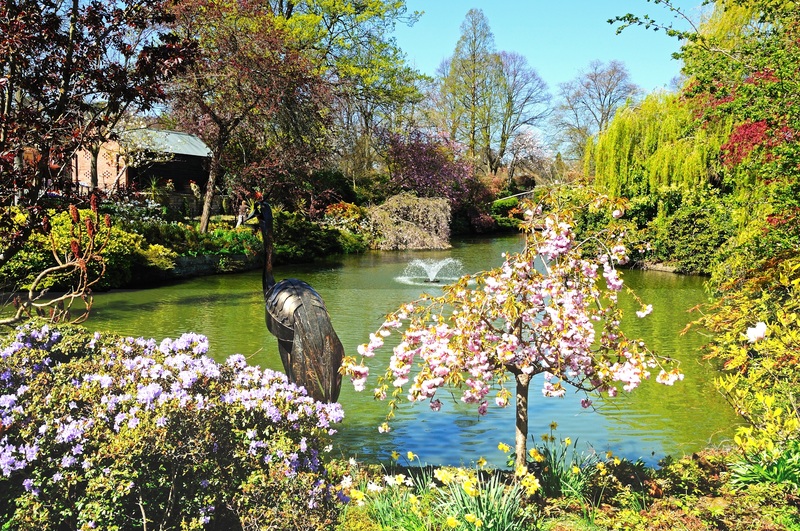 The walk, which loops around the park and Dingle, features historical statues, beautiful flowers and interesting facts about the Quarry, all of which helped to trigger residents’ fond memories. The video was accompanied by relaxing music that further enticed the residents to watch further, experience a change of scenery and learn more about the local beauty spot. Whilst the residents enjoyed the walk, local Shrewsbury biscuits were served to replicate the activity in the video. Along with a cup of tea, residents were given a postcard to send to a friend or family member to enlighten them of their afternoon spent ‘walking’ around the Quarry. Reminiscence sessions and other activities like this help stimulate the mind and are extremely important for residents’ health, happiness and wellbeing. Morris Care are committed to providing first rate nursing care that not only considers every individuals medical needs but also their social wellbeing. The virtual walk brought variation to the residents’ weekly activity schedule and was warmly received as it allowed them to have an entertaining and pleasant afternoon whilst still being in the cosiness and security of their Home. The concept will be extended to the five other Morris Care Nursing Homes with filming appropriate to each location. Morris Care have been delivering outstanding nursing care across Shropshire and Cheshire for over 25 years. To find out more about the care they provide and their beautiful Homes, visit www.morriscare.co.uk or call 01743 232005.